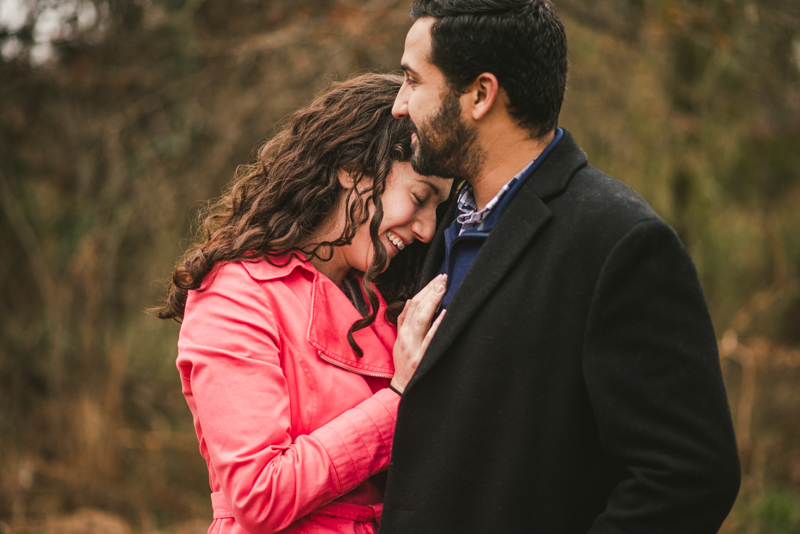 Holy cows and wows, am I obsessed! 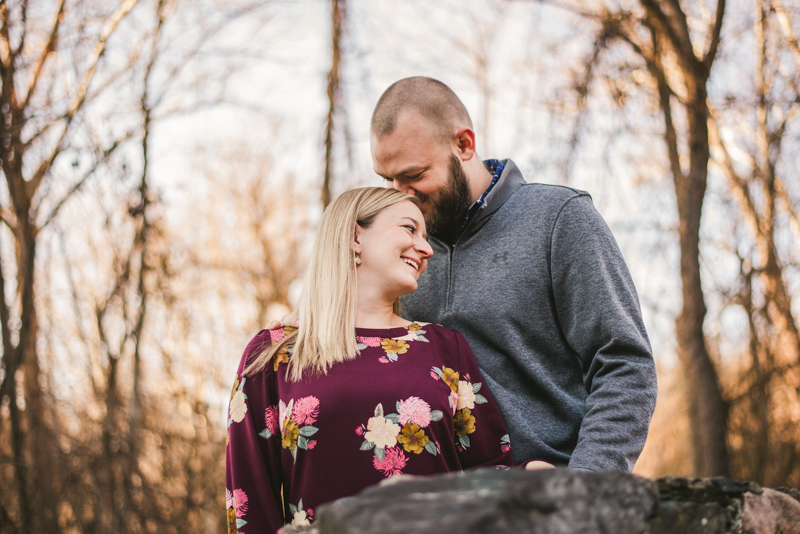 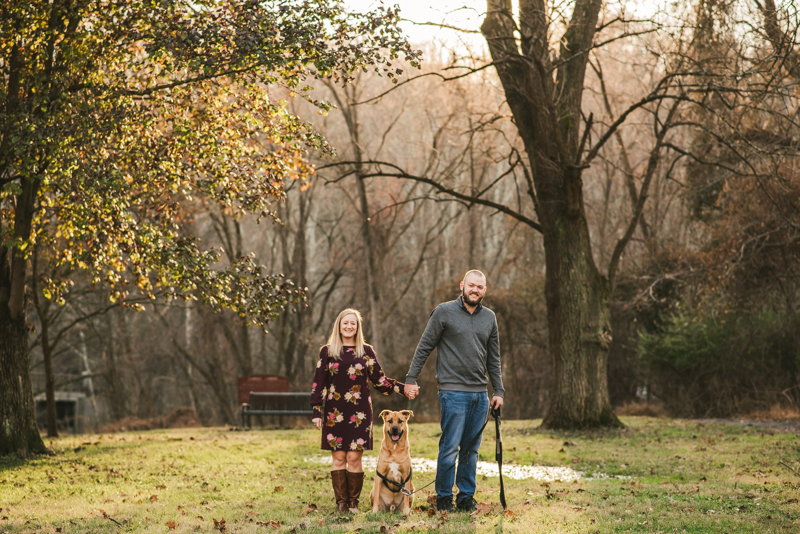 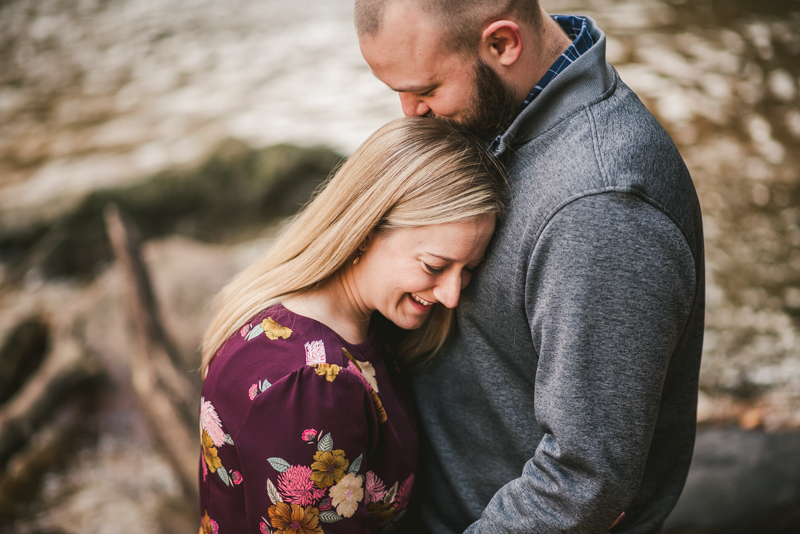 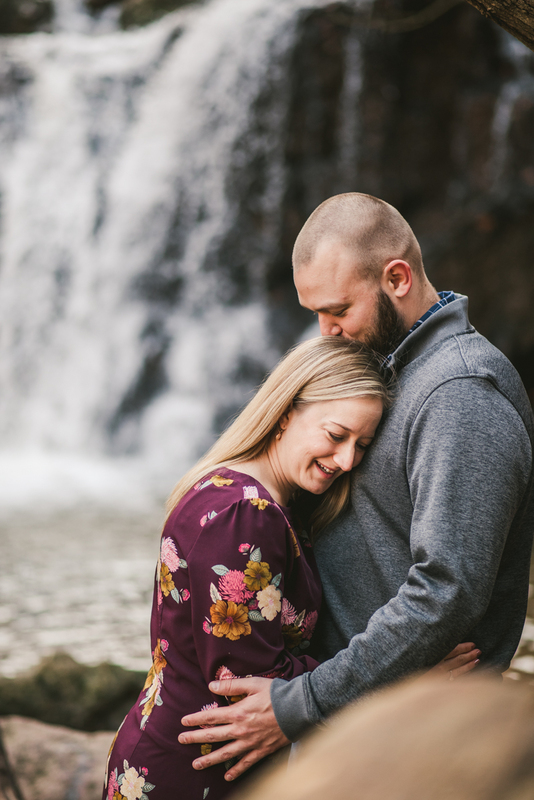 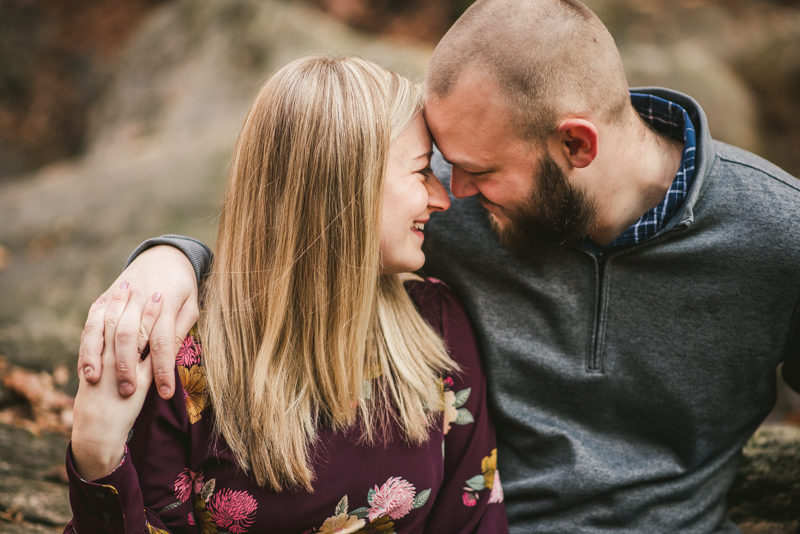 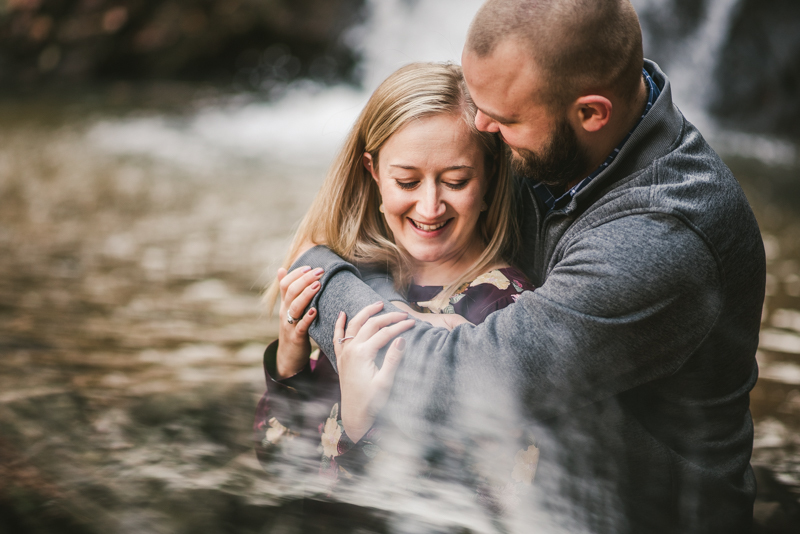 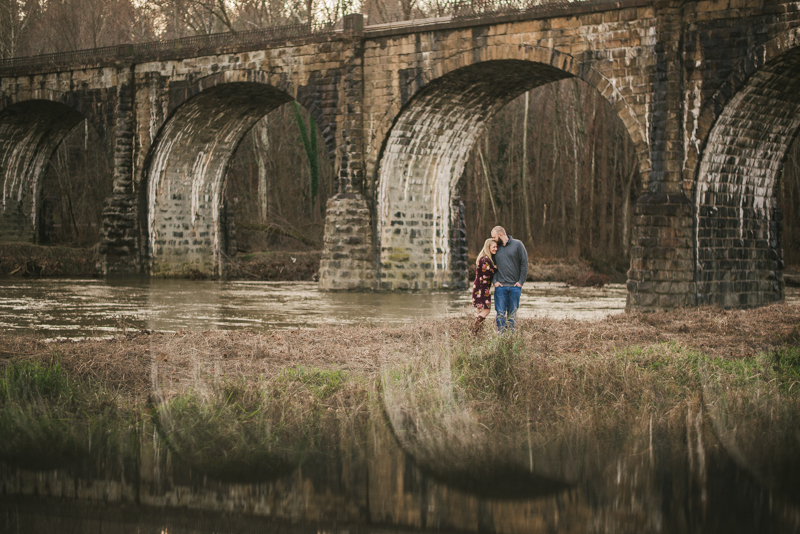 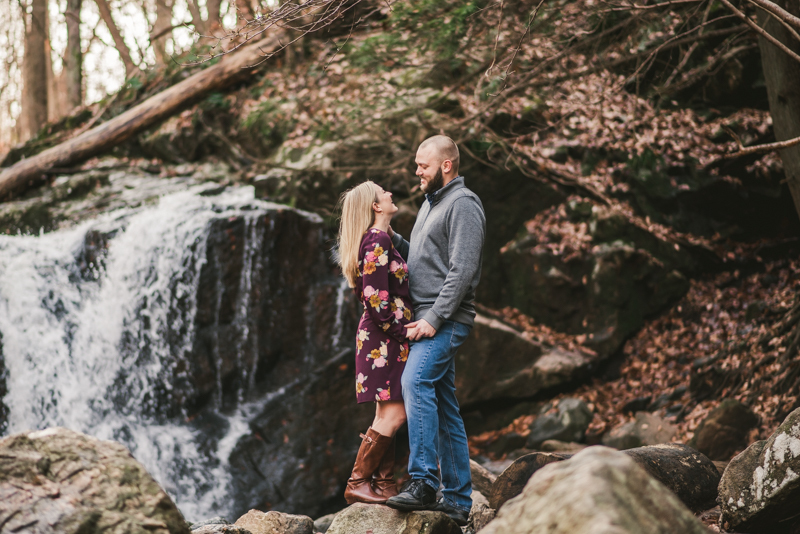 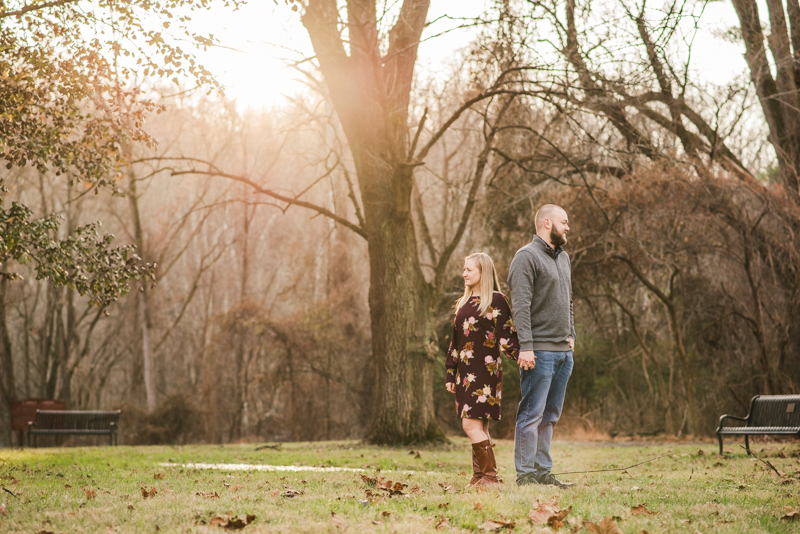 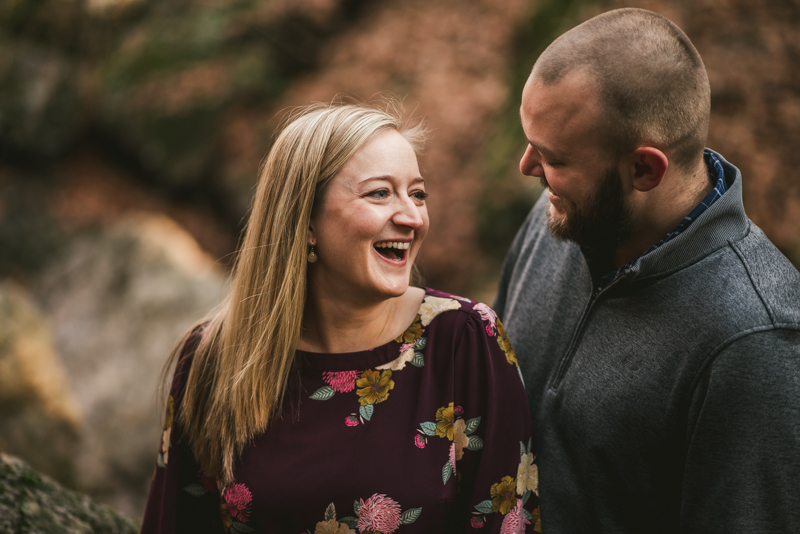 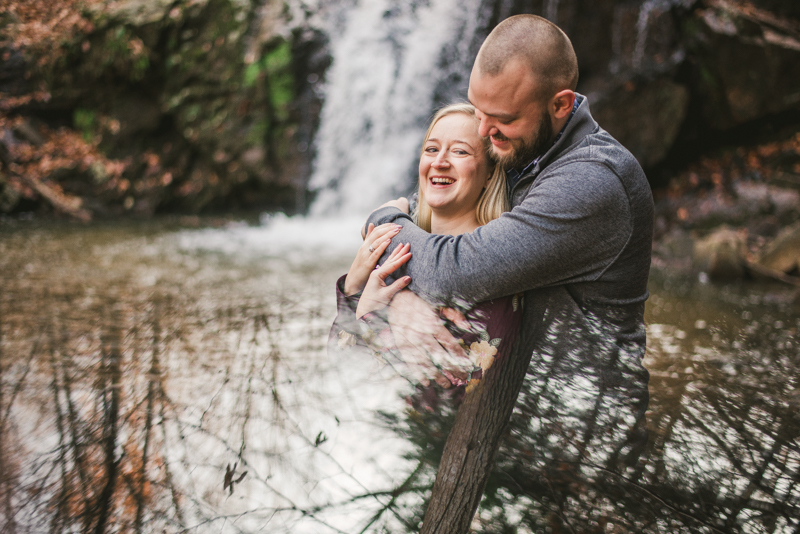 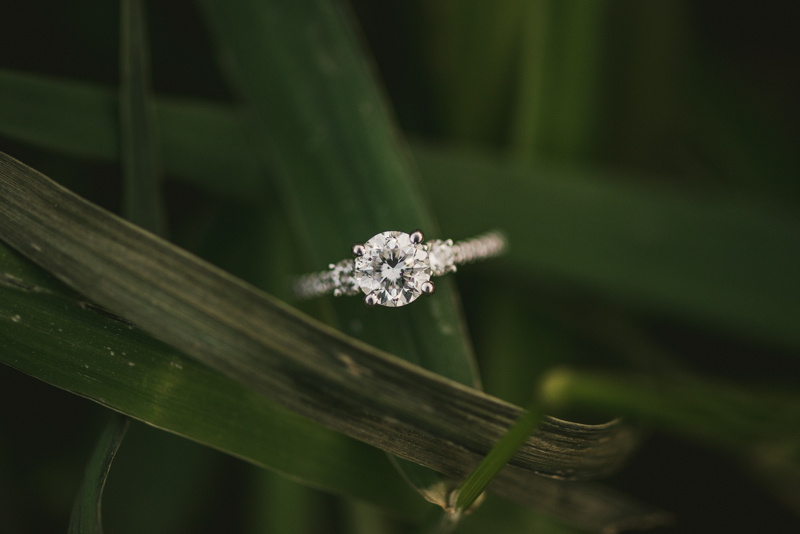 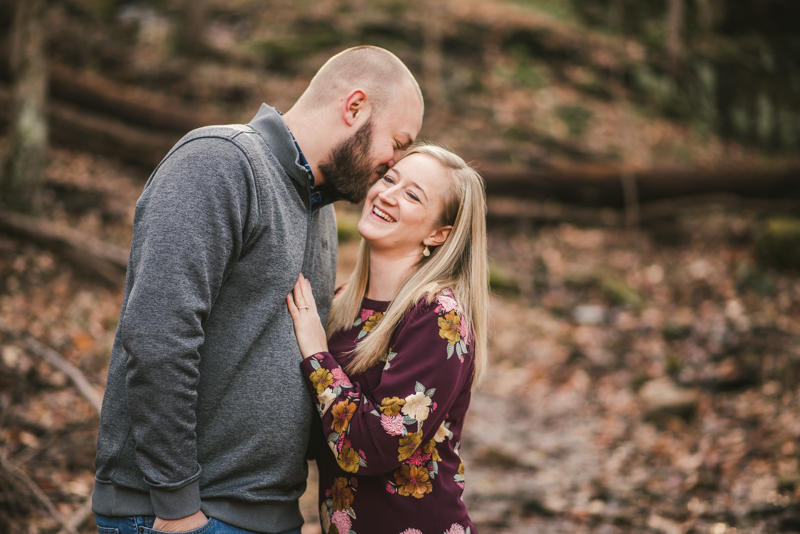 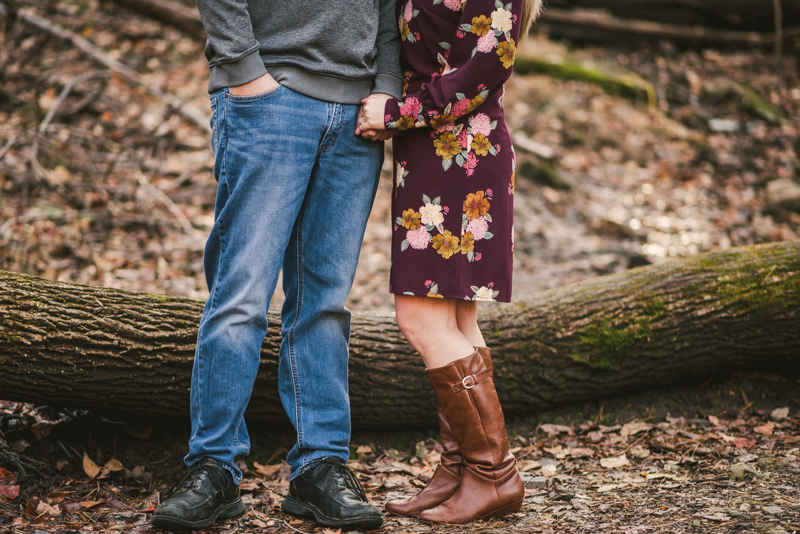 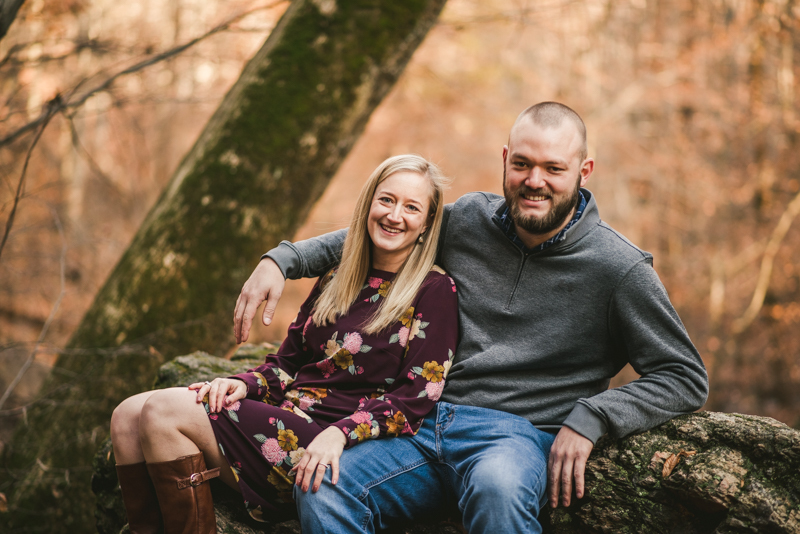 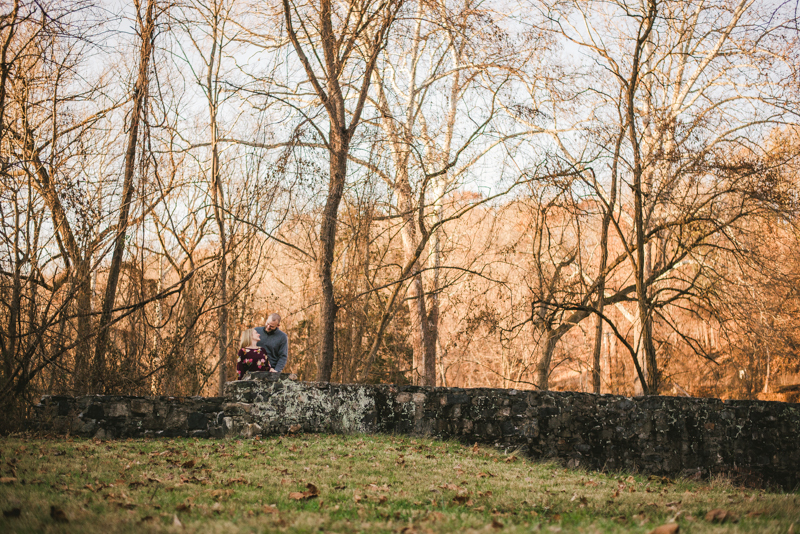 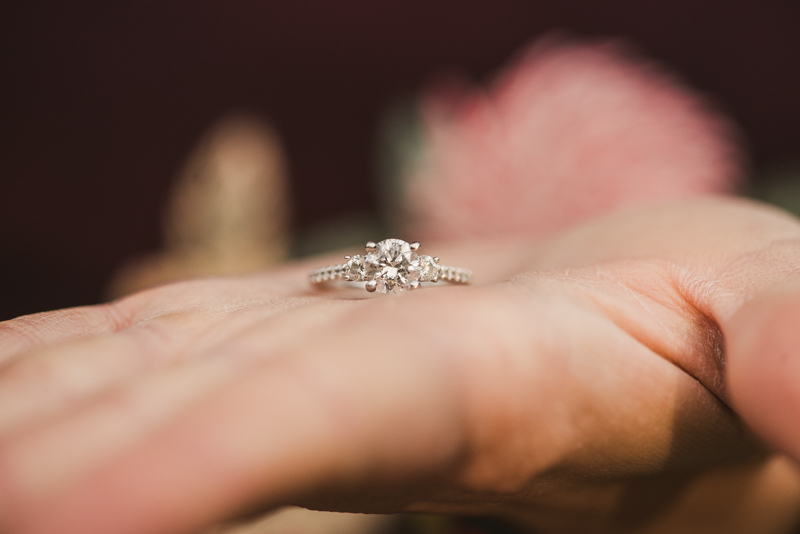 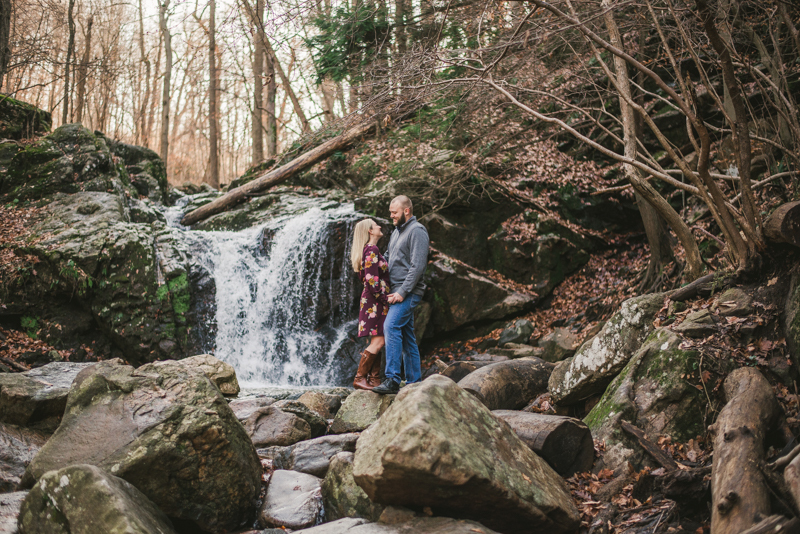 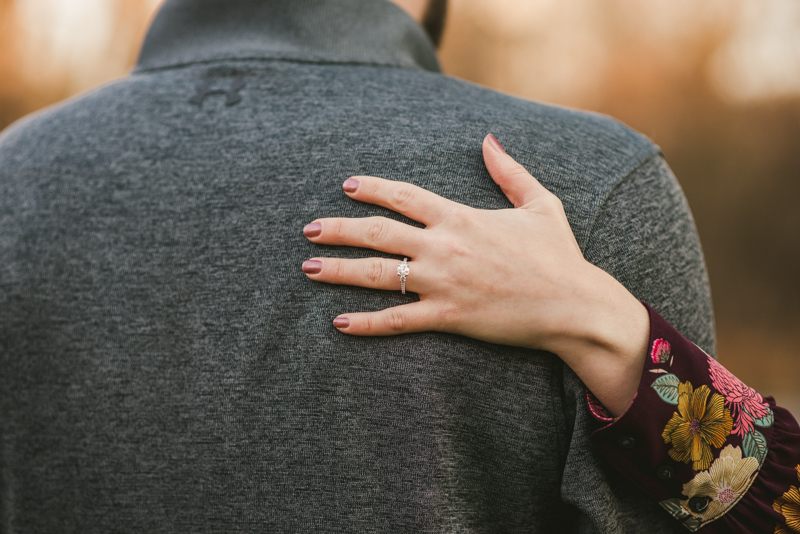 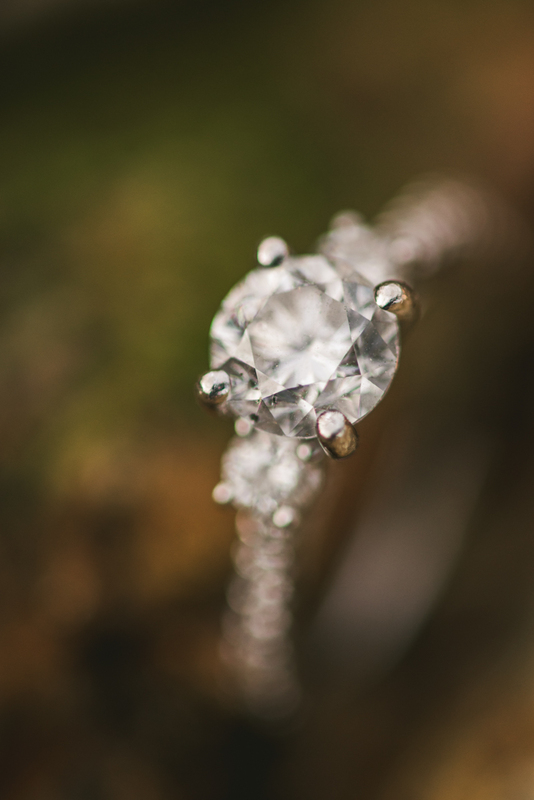 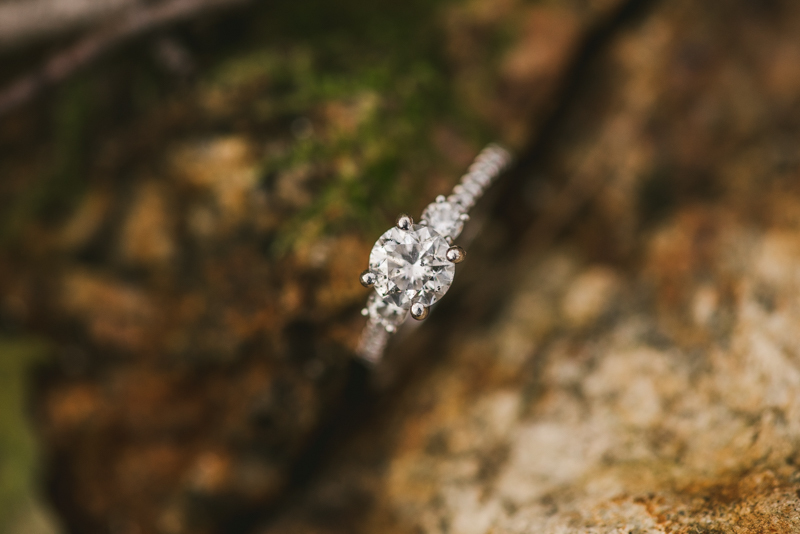 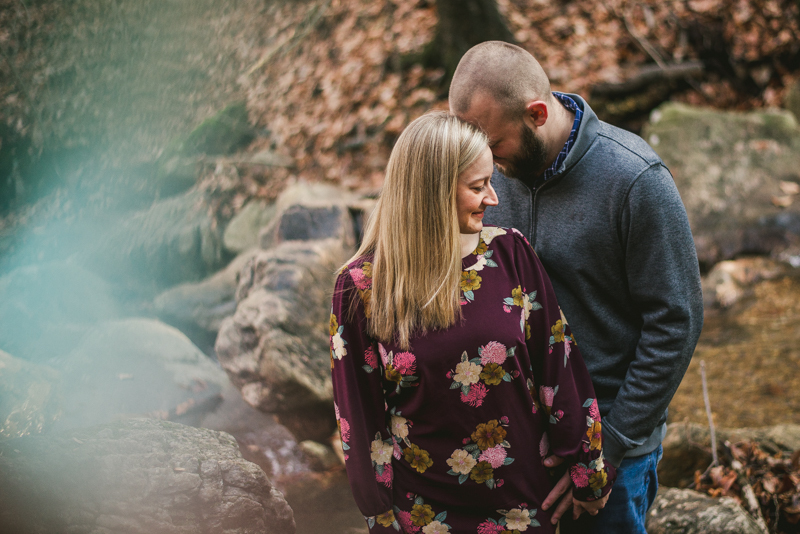 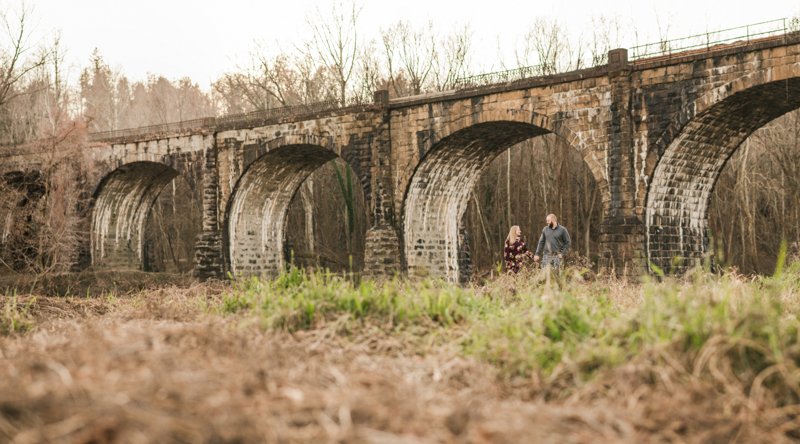 Emily and Jake's engagement session at Patapsco Valley Park is one for the books! 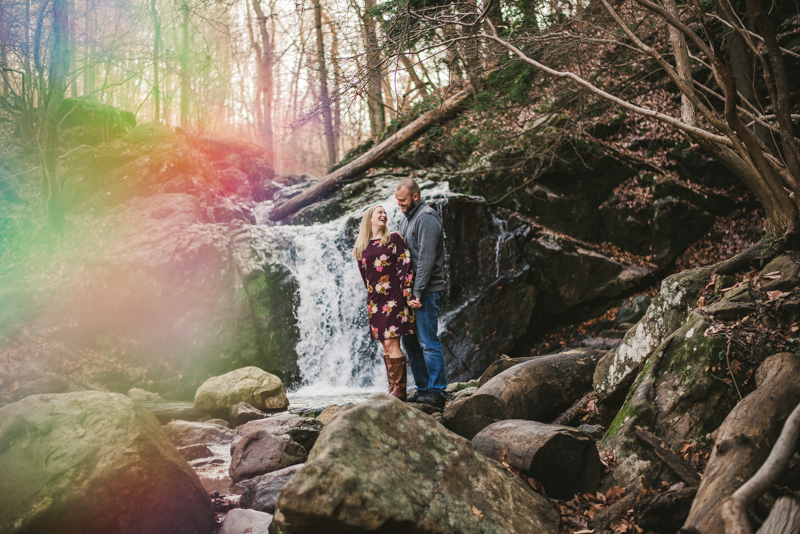 Not only are there beautiful waterfalls, but their dog, Roscoe, makes an appearance. 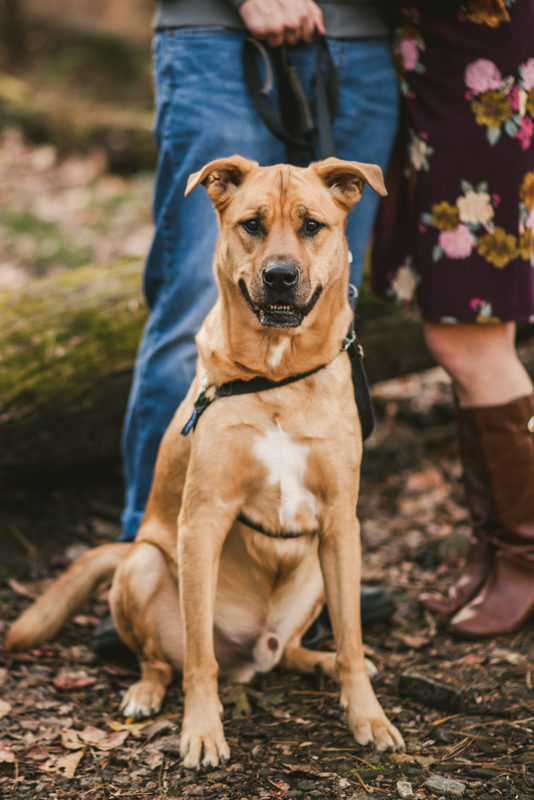 Seriously a model in his own right, this pupper steals the show, haha! 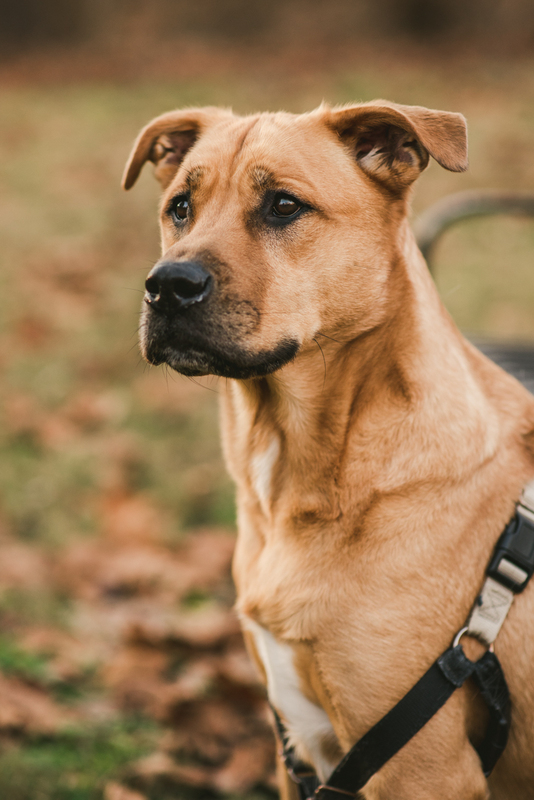 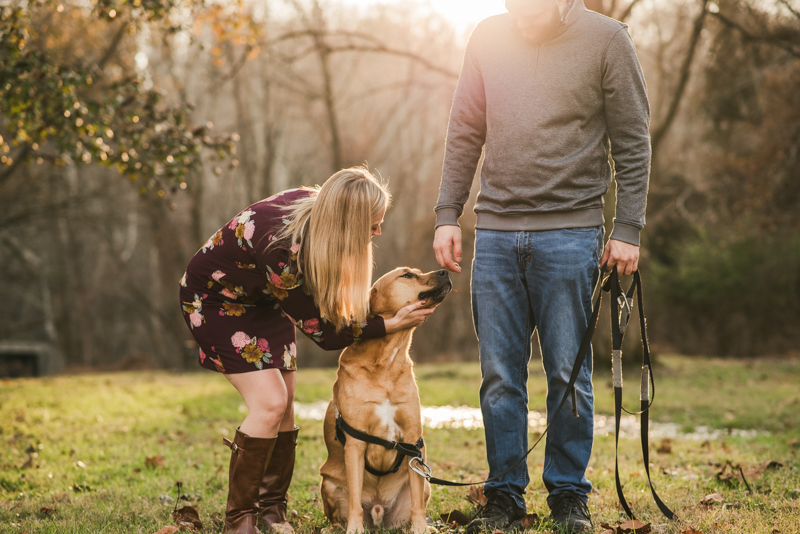 I am SO happy when a couple wants to include their pets in a session. 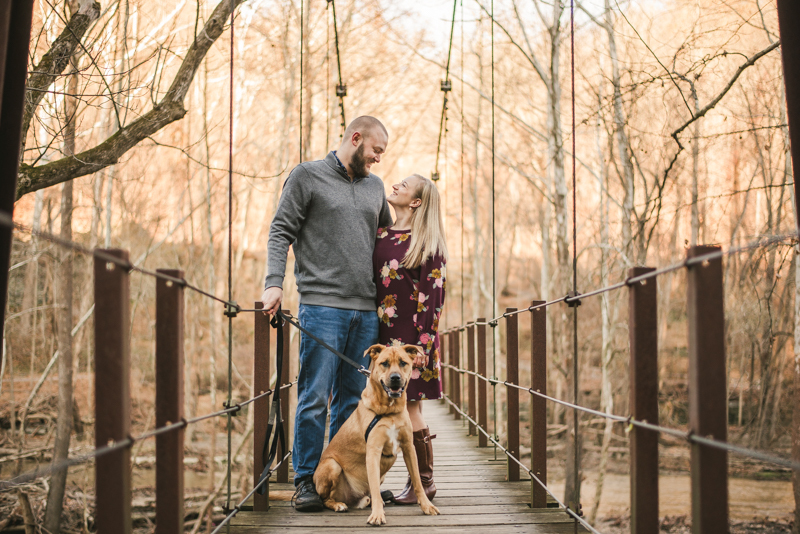 When Emily asked if it was okay to bring Roscoe, I almost jumped out of my chair saying "yes!". 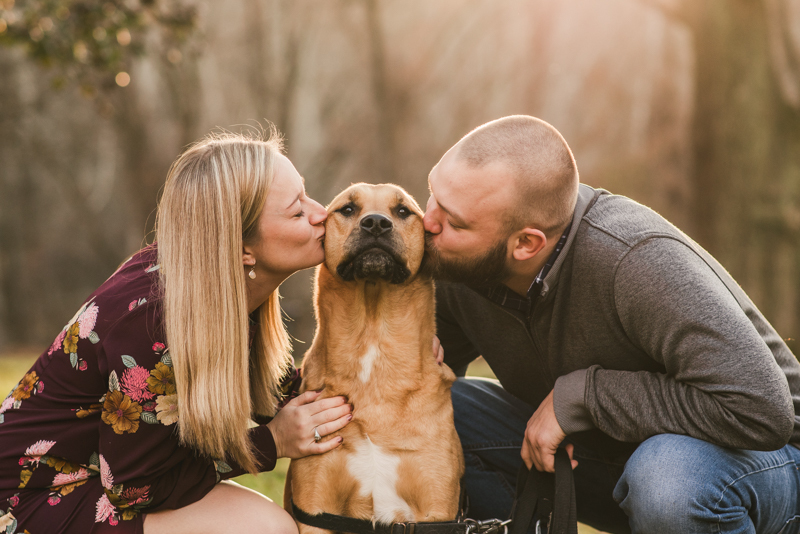 If you don't know by now, I'm a big dog lover, haha! 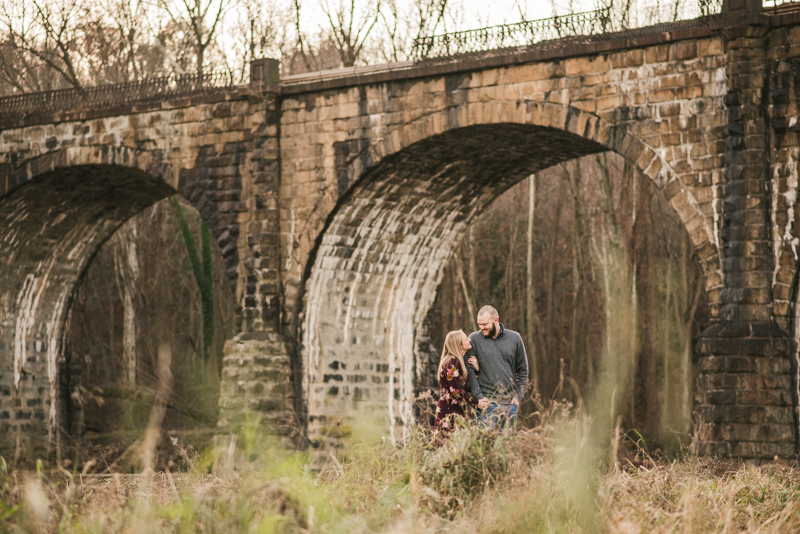 Engagement sessions are one of my favorite parts of photography. 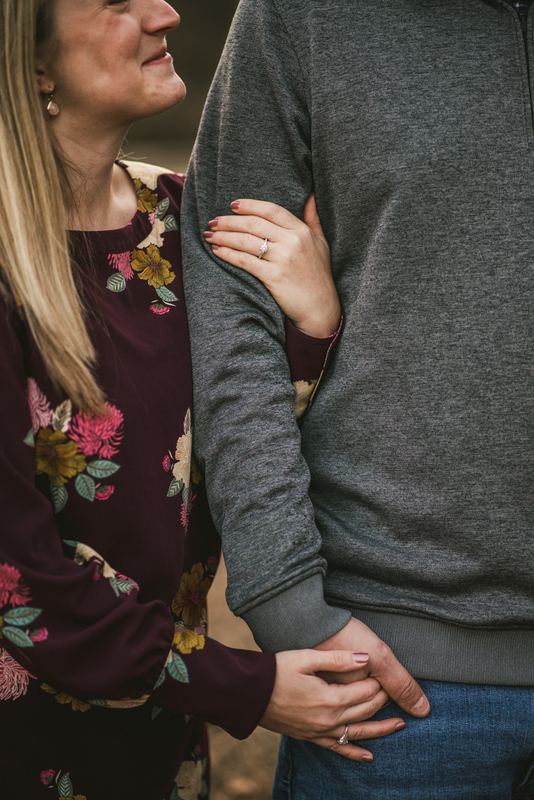 Not only do you get to meet and chat with people, but you also get to see them at a very unique time in their relationship. 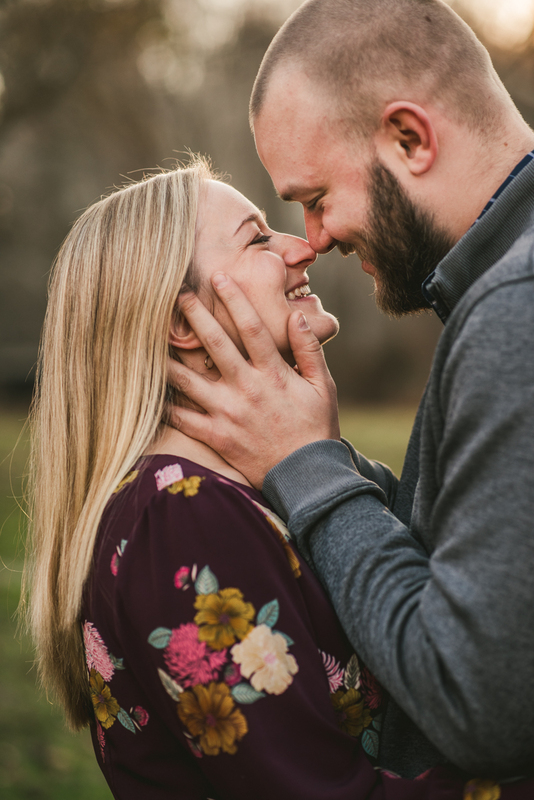 Getting the chance to photograph those giggly and giddy moments is something I adore seeing. 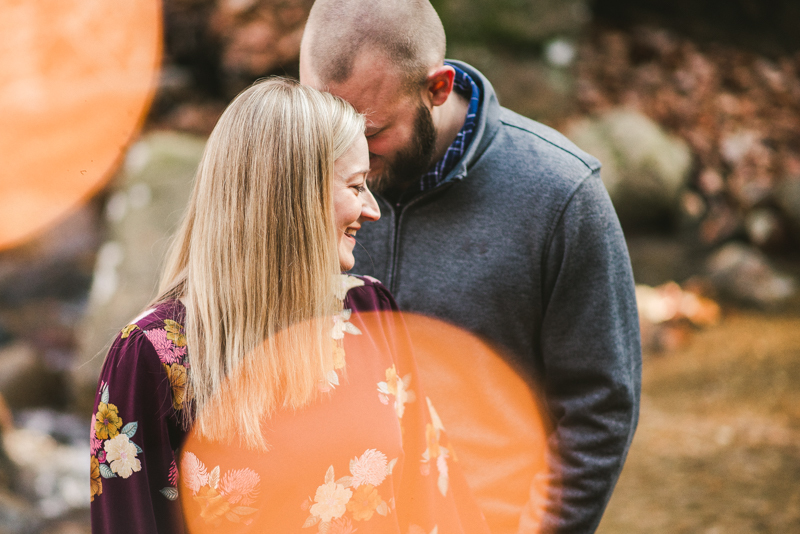 Witnessing a little bit of Emily and Jake's connection just made the time spent with them that much more fantastic. 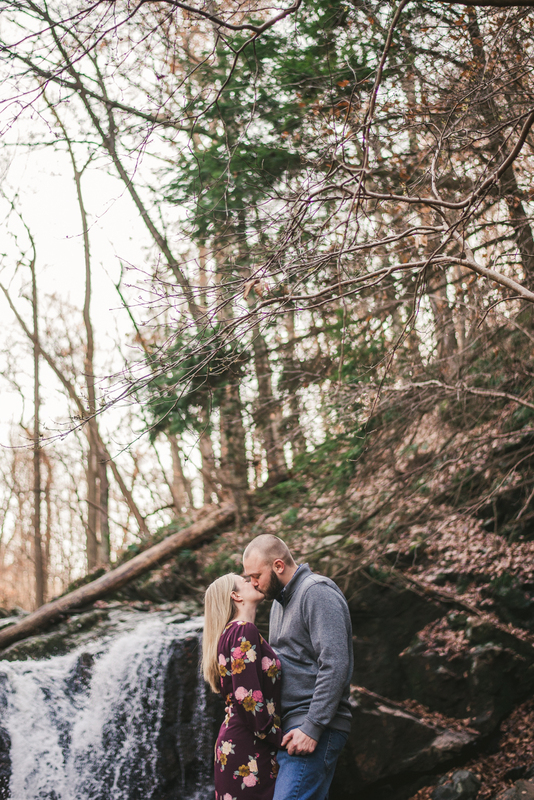 These three were up for any adventure during their session, which makes sense since they hike often. 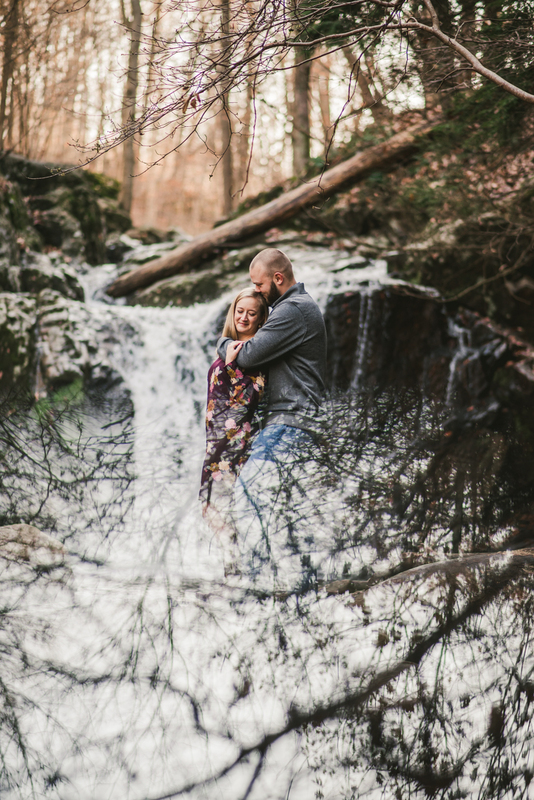 We went for a small trek up a mountain, fought a crowd of people for prime waterfall real estate, even stopped off the side of the road for photos. 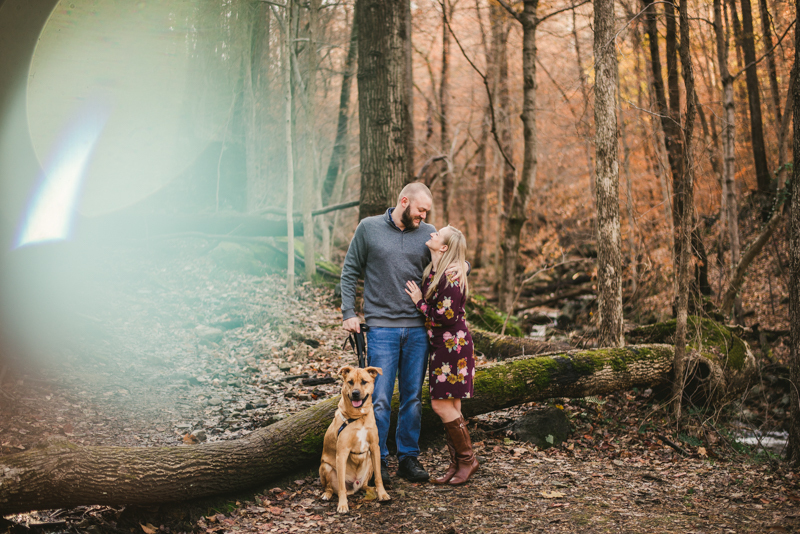 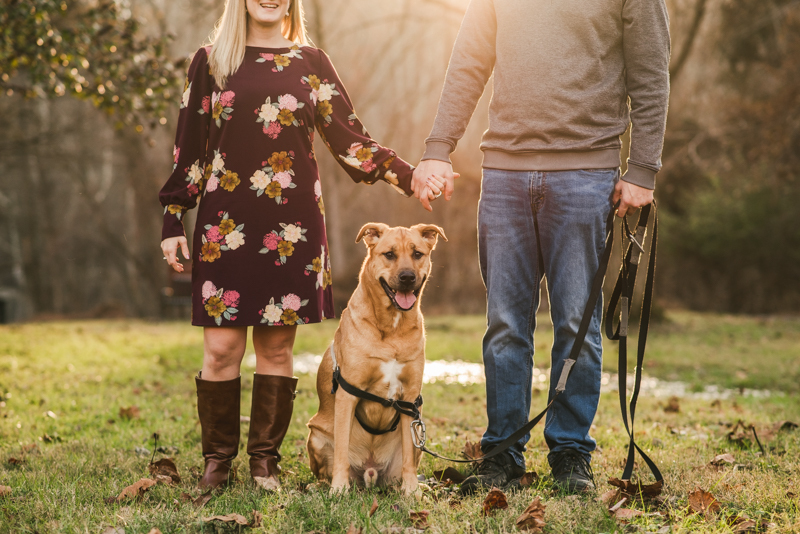 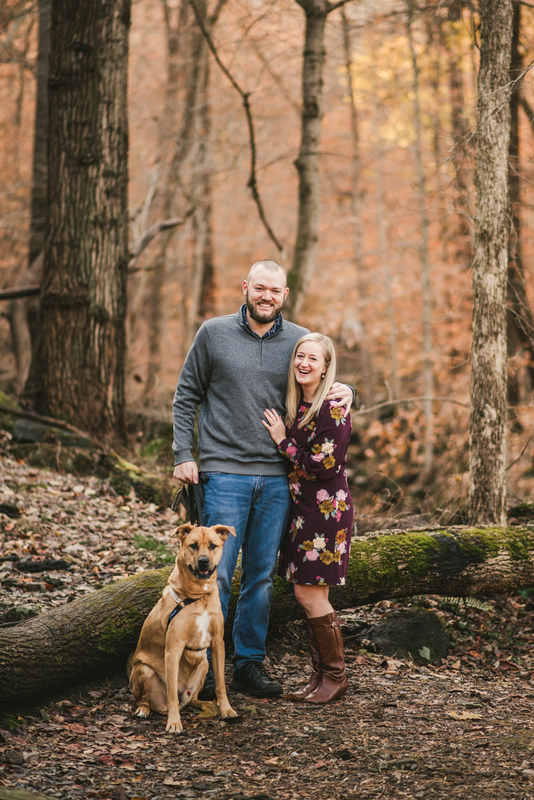 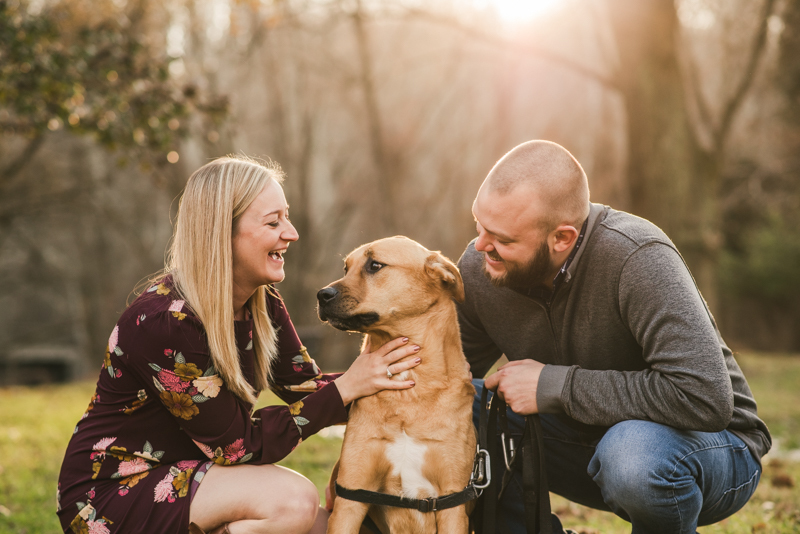 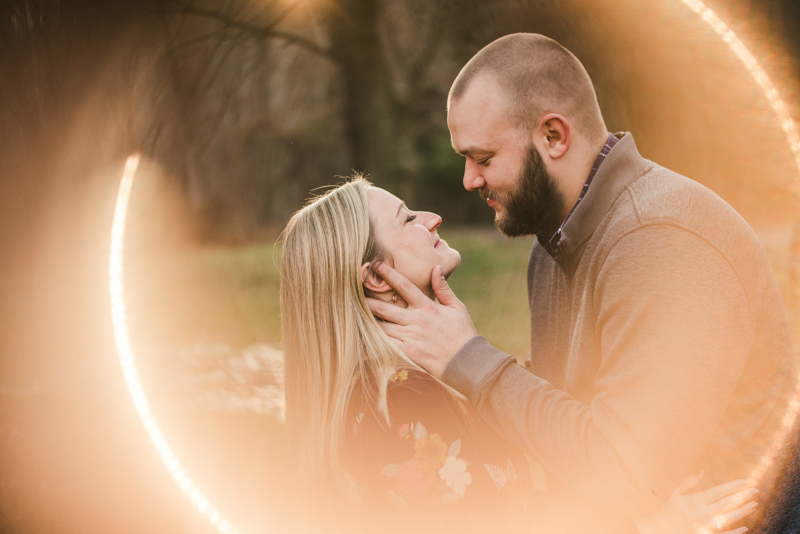 Their images are some of my absolute favorites because Emily and Jake (and Roscoe) were up for it all! 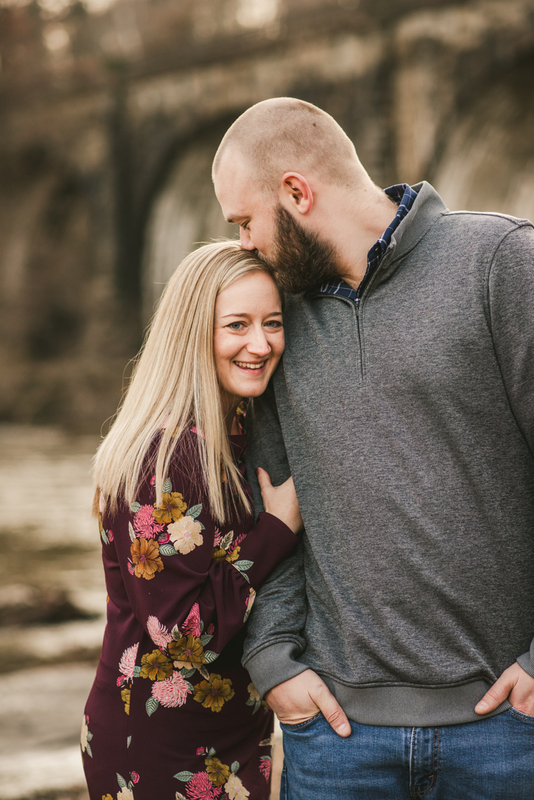 We cannot wait to celebrate Emily and Jake! 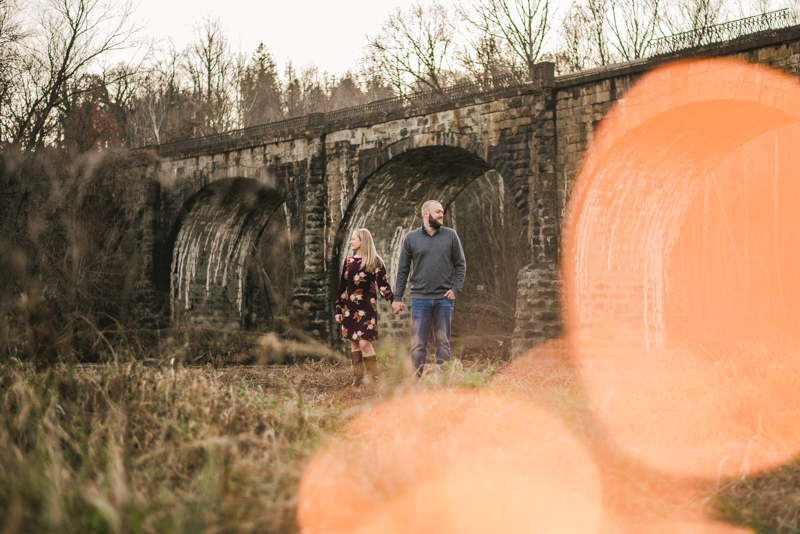 If their engagement session was any sort of sign for us, we know their wedding day is going to be an absolute blast. 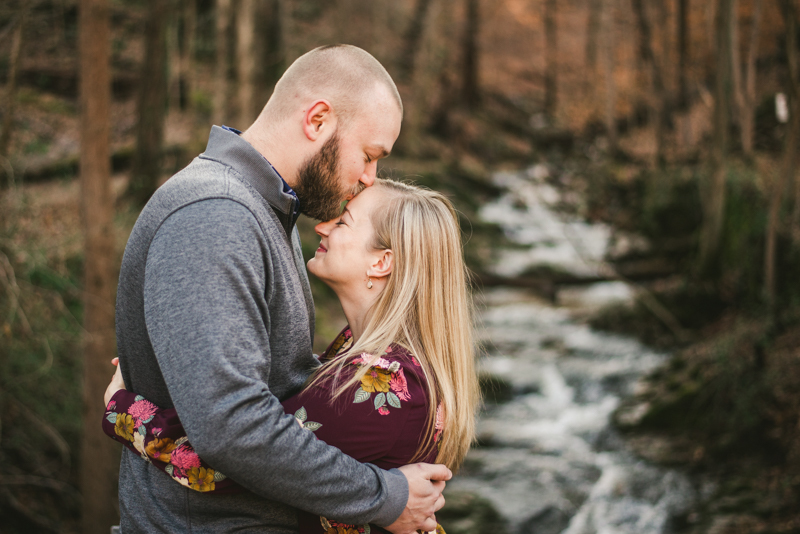 We can't help but be ridiculously excited for them as they get ready for this next chapter!